Shoulder Rest and/or Base Unit can be purchased separately. 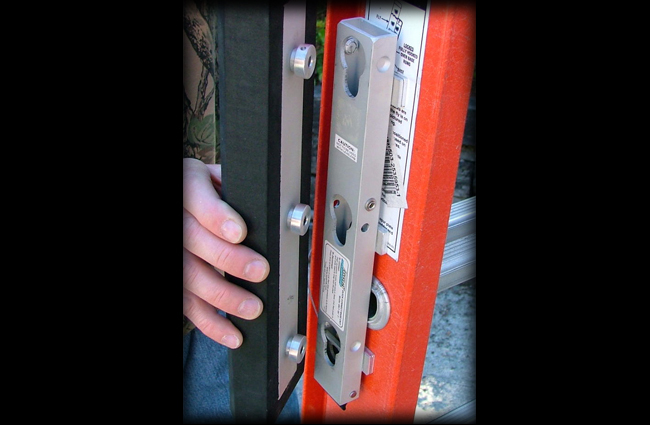 Simply mount a KeyLok® Base Unit near your ladder’s balance point, then snap our KeyLok® Shoulder Rest in place. 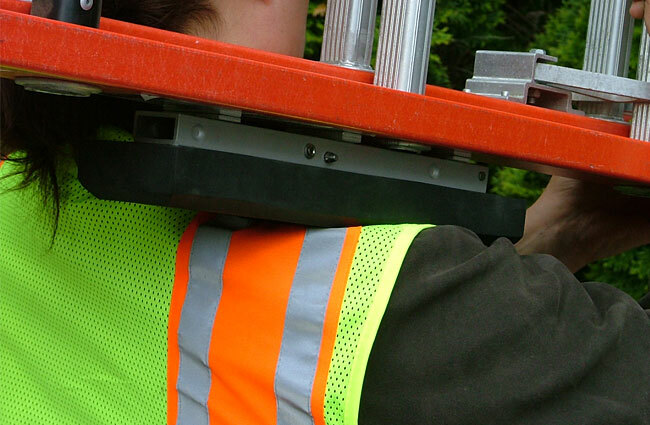 This incredibly comfortable pad makes it easy to “shoulder” and carry a ladder with a minimum of body strain. 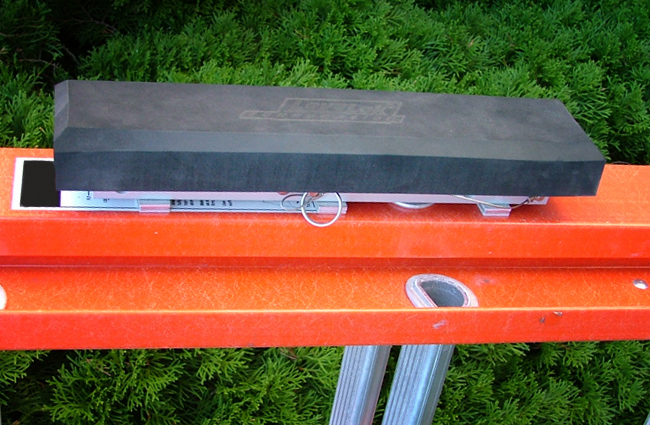 The Shoulder Rest is a ladder carrying device that consists of an aluminum bar with KeyLok® connectors, surrounded by a tough, super-firm pad made of waterproof, closed-cell polyethylene foam. The overall dimensions of the pad are 13-1/2″ long by 3″ wide by 1-1/2″ thick. The most comfortable way to carry a ladder. Period. Don’t confuse this with a simple “foam rubber” pad! The material in our Shoulder Rest is made to take serious weight (100 lbs or more) and still provide ample cushioning. After a period of use, it will even “remember” the shape of your shoulder, providing even more comfort. By cushioning and conforming to your shoulder, the Shoulder Rest distributes the weight over a larger area of your body, lowering stress on backs and shoulders. It will decrease fatigue, even during long carries. It’s ladder pad will even lower wear and tear on uniforms. Warranty: 1 full year from date of purchase. Alternative search terms: Ladder carrying device; ladder pad. 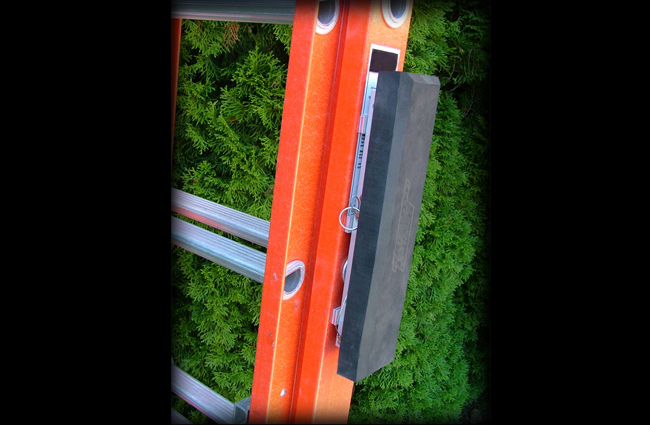 Ladder Compatibility – Fits most aluminum and fiberglass, extension ladders. Compatibilidad de la Escala – Encaja la mayor parte de aluminio y fibra de vidrio, escaleras extensiblees. 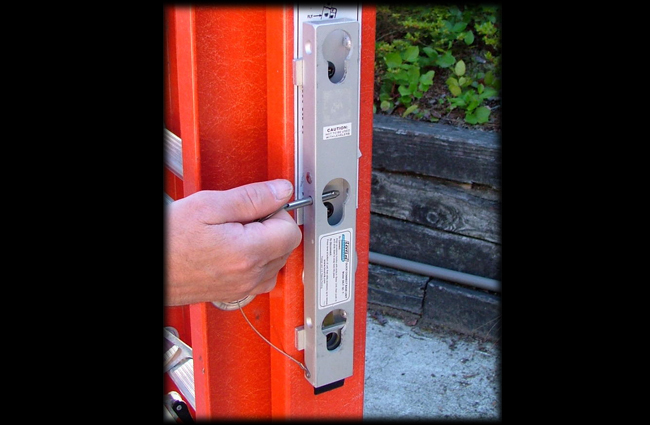 Base Unit Installation Method – Attaches to ladder rail with 3 mounting bolts, fender washers and nylon locking nuts. Metado de la Instalacione la Unidad Baja – Fijaciones al carril de la escala con 3 pernos de montaje, arandelas de la defensa y tuercas de fijacion de nylon. Load Rating – 130 pounds. Posición de Carga – 130 libras. Warranty – 12 months parts and labor for manufacturing defects. Garantia – 12 meses, porciones y trabajos para los defectos de produccion.